Mark O’Connell is a Dublin based writer. He is a books columnist for Slate. 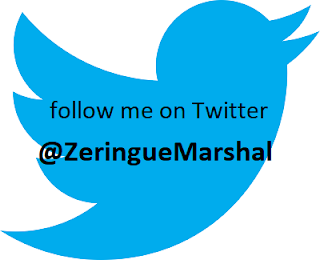 His work has been published in The New York Times Magazine, The Observer, and The New Yorker. 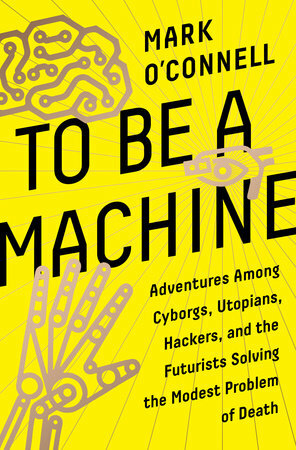 O'Connell is the author of To Be a Machine: Adventures Among Cyborgs, Utopians, Hackers, and the Futurists Solving the Modest Problem of Death. Speaking of inexhaustible weirdness, [The Denial of Death's Ernest] Becker could have written an entire book about Ray Kurzweil, the futurist and director of engineering at Google who has made a career out of the elaborate evasion of the reality of death. Kurzweil’s The Singularity is Near: When Humans Transcend Biology is a monumental work of religious mysticism, which has somehow managed to pass itself off as technological futurism. It is long and complex, but its premise is simple, if incredibly strange: we are on the historical cusp of a great convergence, known as the Singularity, in which artificial intelligence becomes so powerful and sophisticated that we, as humans, will merge with technology, becoming immortal godlike creatures of infinite intelligence and capability. It’s an ecstatic vision of the end of history, from which Kurzweil emerges as a chimeric amalgam of Buckminster Fuller, Steve Ballmer and John of Patmos. 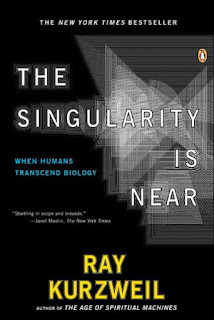 The Singularity is Near is among Michio Kaku's five books to help you understand the future.